Go Ahead... Ask Us a Question! Our live Hotline Information Officers answer over 80,000 inquiries each year, providing information to B.C. residents from our comprehensive database containing over 120 product and service categories and 4,000 listings of businesses, services, organizations and programs, covering a wide range of topics. 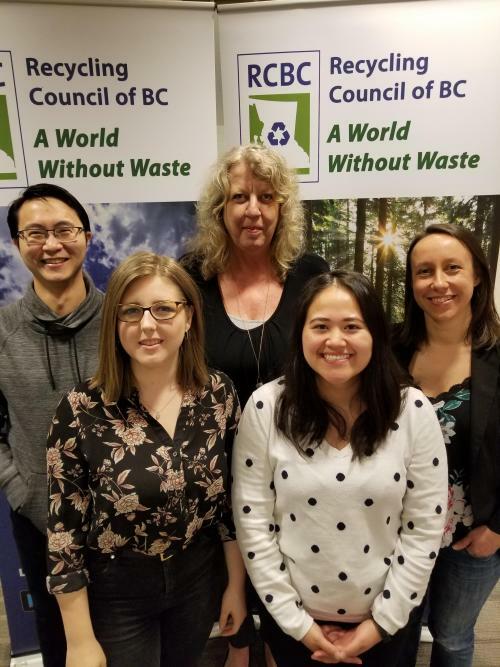 The BC Recycling Hotline Information Officers, ready to answer your questions! Wondering what the most asked-about items were in 2018? Check out our infographic! Provide a recycling service in British Columbia? Get listed on our Recycling Hotline Database! The Residential Reuses program is a free online listing service that helps individuals, businesses or non-profit organizations find reuse options for household items. With over 40 categories to choose from, including furniture, appliances and garden and landscaping, it’s a great place to give away or find what you need for free or cheap.